“Mood” incorporates the knowledge of many different skills into a single artifact. It is a combination of traditional hand-crafts (sculpting, woodwork), digital 3D modeling and experimental electronics. The base of the sculpture was built from wood, and the characters were sculpted with a traditional build-up method, using polymer clay on top of a metal wire armature. 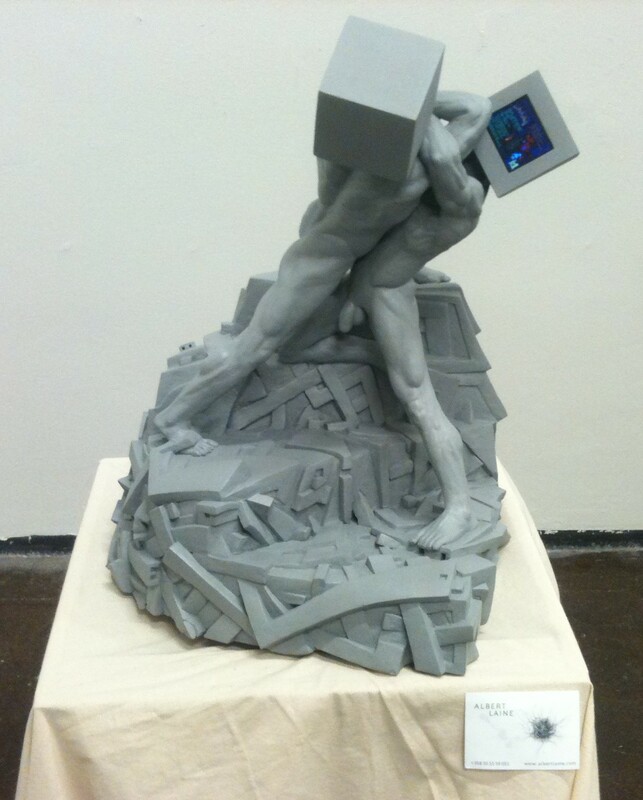 Electronic devices such as FM radio and 1,8 inch screens were integrated, creating a functional whole where 3D printing and electronic media art complements each other. Additionally, software hacking had to be implemented in the form of injecting numerical values to software live memory area. Bringing all of the components together required diverse knowledge and skills, from aesthetic decision making to manual tool work and electronic skills. The wrestler’s head-screens are playing the default run of the ID Software classic “Doom” -with the blood patch. The on-game audio is FM transmitted, thus enabling the use of a beefier sound system or FM headphones. 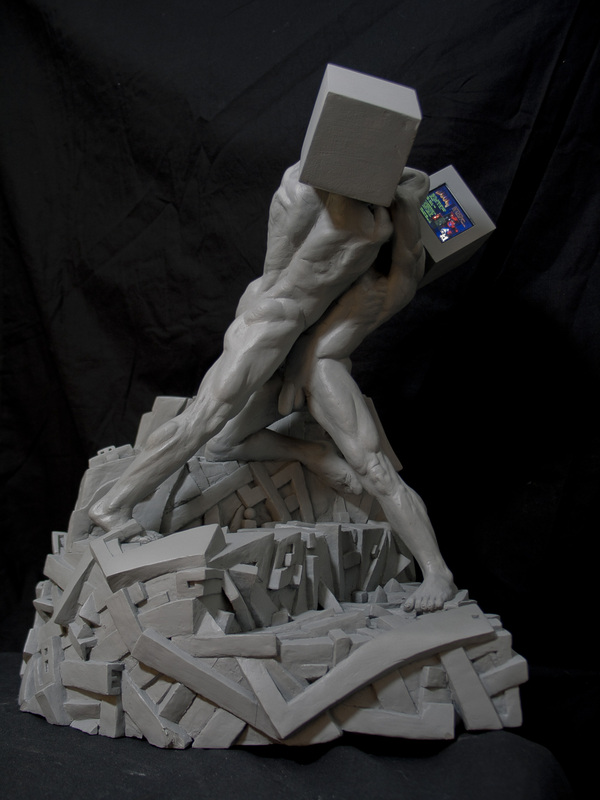 The aesthetic goal was to combine classical, idealized (Golden Section/Fibonacci) anatomic figurative sculpture and contemporary graffiti-influenced expressionistic visual language with the fast paced visual intensity of ID Software’s iconic game: “Doom”. 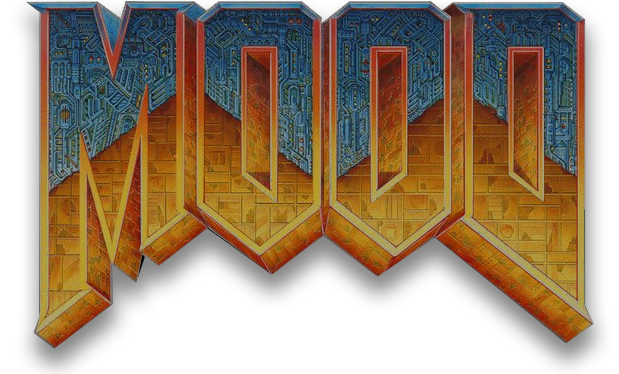 The name “Mood” is derived by reversing the letters in “Doom”. The static, monochromatic sculptural shapes contrast with the moving, colorful CG graphics of the 90’s interactive entertainment media. The 3D printed parts were modeled in Blender and printed with Ultimaker 2. The electronics were compiled from cheap off-the-shelf & e-waste devices. The artwork is approximately 0.5m high, and requires 5V/2A electric power. Power adapters from 220V mains are included. A white hollow cubic pedestal should be incorporated in gallery floor installations, to elevate the artwork to a reasonable eyesight height and to hide the power cables.